Creatures you control gain intimidate until end of turn. +4 Bitterblossom This card does everything you need in your deck; low cmc and makes rouges/faeries. By itself bitterblossom can take over and win most games if left unchecked long enough. -1 Hideous Visage again no need to make your creatures hard to block they already are. 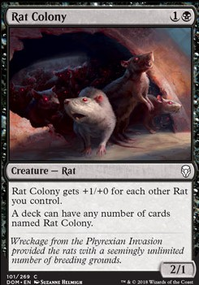 -2 Notorious Throng this card is good if you have the mana as it can straight up end games if cast for its prowl cost but most of the time it's over kill. its insanely good as a 1 of that can steal games if you cast it when your opponent's tapped out (say by mistbind clique) also I've added quite a bit of draw power so you can see it rather often even though its just a 1 of. 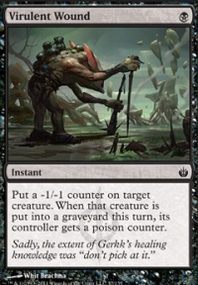 -1 Recall you play so many creatures and they are either A. easy to protect or B. expendable you don't need to wasting mana to get them back when you could just cast another in the place of one that was lost. -1 Smallpox kinda lack luster as a 1 of and hurts you as well slowing you down, you're trying to win quickly and overwhelm your opponent before they have answers to your army. -1 Sorin's Vengeance another card that is way to expensive for what it does by the time you are able to cast this either you or your opponent already won. 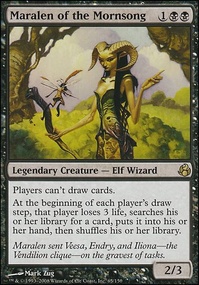 -2 Violet Pall this card is just straight up bad sorry to say its way to expensive and the value of a single 1/1 faerie rogue for it is not worth in any way. +4 Faerie Miscreant This is another low to the ground faeries rogue that draws you cards. 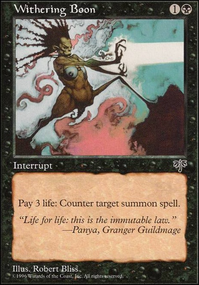 +1 Latchkey Faerie This card if your bring it in for its prowl cost can be very effeceint but you don't want to be paying the 4 mana ever so have 2 means you see if enough where it can cantrip and give you a 3/1 body while digging deeper into your deck but also you won't always see it. +3 Mistbind Clique This card is insane its a 4/4 for 4, protects a faeries (if they target for removal just flash in and exile target protecting it), semi-time walks your opponent (cast on upkeep and taps them out so they can only play instant in response). 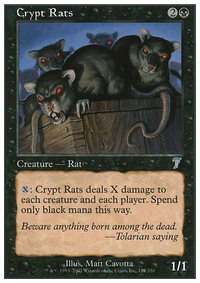 They only reason I'm not recommending 4 is that it is kind of expensive and you want to keep this decks cmc pretty low. +1 Oona's Blackguard this is the main card in your deck and you want to see it every game as soon as possible it makes all your rogues when they etb bigger speeding up your opponent's clock as well makes your opponent discard when they take dmg (which is going to be often) keeping them from stopping your army of creatures. +1 Scion of Oona this card protects all your faeries(flash it in in response to removal) and makes them bigger and you can bring it in on your opponent's end-step to save mana on your turn. the only disadvantage is that since it grants shroud not hexproof you can not target your own faeries(which is why I'm not recommending 4). Also having 2 means they can't be target as well. 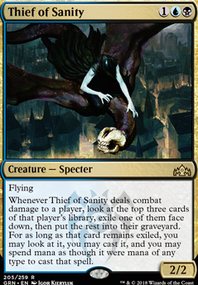 -2 Ghostly Changeling 3 cmc is a lot in your deck + an additional 2 to make it into a 3/3 temporarily is not worth it. -1 Sower of Temptation while this card can steal big creatures from your opponent your opponent won't always have big creature to steal its cmc is also high. this card is better in the side board where you can bring it in when you know it will be an effective choice.